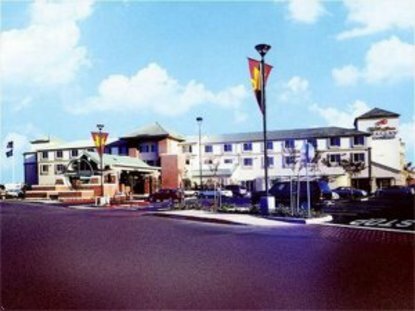 Welcome to the Holiday Inn Express Hotel & Suites Elk Grove. Located in the Laguna Gateway shopping Center with plenty of places to eat and shop. We are one of the fastest growing cities in California Whether your visit brings you to us for business or pleasure, the Holiday Inn Express Hotel & Suites Elk Grove is ready to serve you Our hotel features 116 graciously designed guestrooms and suites, catering to the corporate, group, and leisure traveler. Whether you're traveling alone, with a group or your family, our accommodations were designed with you in mind. We also specialize in weddings, banquets, meetings or any special event, the Holiday Inn Express Hotel & Suites Elk Grove offers facilities to accommodate up to 400 persons. The Laguna Creek Parkway, Stone Lake Refuge and Consumnes River Preserve all offer excellent opportunities for folks to enjoy the natural beauty of the Elk Grove region. With wetlands, fishing, bird watching and a variety of walking and riding trails, these areas provide escape from city life. We also have the Barbara Morse Wackford Aquatic and Community complex just few short blocks away. Consumnes River College as well as California State University Sacramento and University of California, Davis are all close by. Downtown Sacramento is just a few minutes away with many things to do. We look forward to your stay with us here at the Holiday Inn Express Hotel & Suites Elk Grove This hotel is committed to providing accessible facilities under the American Disabilities Act. If your accessibility needs are not met, please contact the Hotel Manager on Duty. Should you require additional information regarding accessible facilities for guests with disabilities, please call 1-800-Holiday (U.S. and Canada) or contact the hotel directly. For the hearing impaired, TDD service is available at 1-800-238-5544 within the U.S. and Canada.